It is often thought that nature is diverse and that the move to agriculture reduces that diversity which results in reduced function, or ecosystem services. Here is a paper that tests this idea in the soil by comparing soil microbial populations in corn and never-cultivated native tallgrass prairie. The results are both expected and surprising. In 2009, the researchers (Mackelprang et al. 2018) picked never-cultivated tallgrass prairie sites in Wisconsin, Iowa, and Kansas, and then found local corn fields that matched the texture, slope, aspect, and drainage of the prairie sites. They sampled the surface soil (~5” deep) of all the sites and then analyzed them. Using DNA extraction and gene sequencing, lipid analysis, and some complicated bioinformatic and statistical tools, they were able to estimate the number of different species in the soils, their populations, and how the function of the soils would be affected by their microbial makeup. 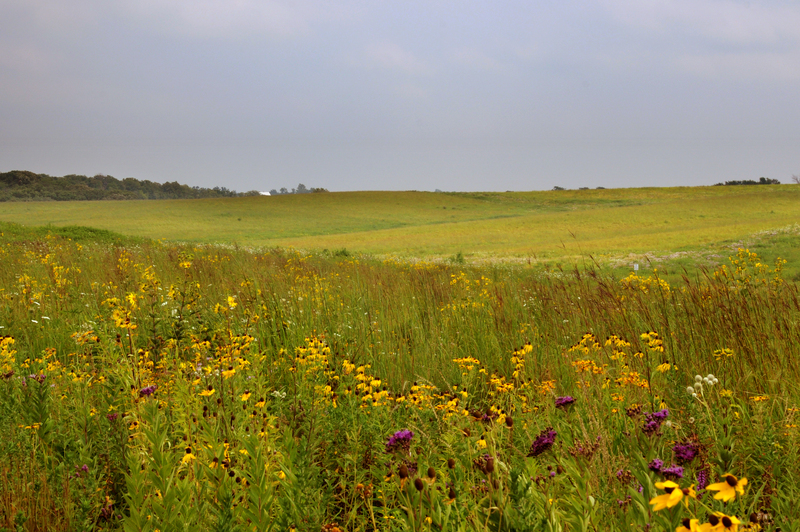 First, the expected result: microbial biomass was about double in the native prairie soil. The prairie soil is never tilled and has long-lived perennials with vigorous rooting systems; it should have more microbial biomass. We cannot expect agriculture, even no-till corn, with its annual crops to equal the native prairie. But microbial biomass does not tell us everything. Here is the unexpected result: the soil microbial diversity, measured by the number of species, was higher in the corn soils than the prairie soils. Yes, higher in the corn. What about the idea that higher plant diversity drives higher microbial diversity in the soil? Well, at least in the tallgrass prairie, that idea will have to be reviewed. And it is not just this study. The paper cites two other research papers that found similar results. Why? Probably the nitrogen. One more result, this also unexpected. The researchers did what they called a “core functional gene analysis.” They looked through the genes they had sequenced from the soil for those related to several core functions in the soil: nutrient transport, cell regulation and signaling, response to osmotic stress (drought) and nitrogen and carbon cycling. The analysis showed that there were significant differences in both bacterial and fungal populations between the two soils. 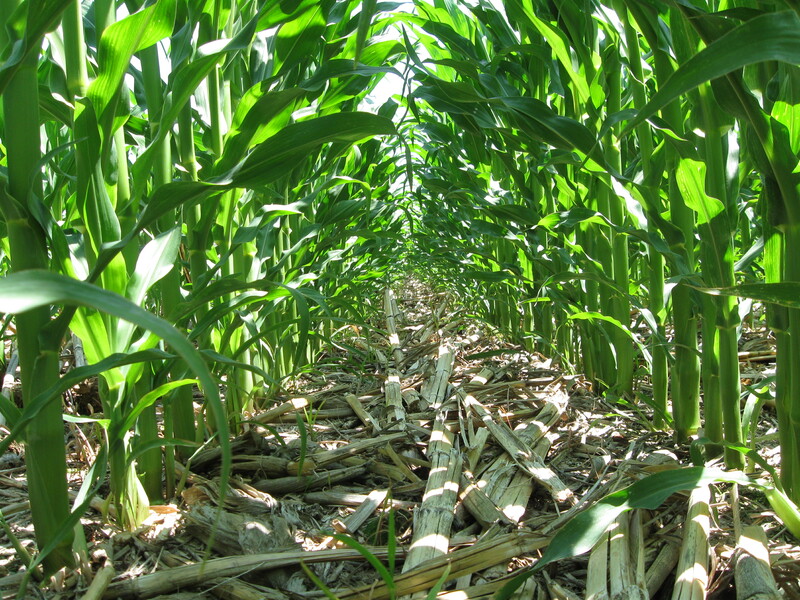 However, the differences did not seem to matter; the corn soil retained all the functions of the prairie soil. In their dry words, “…many functions are resilient to changes caused by land management practices.” Indeed. Even ecologists are saying that we may have put too much value on diversity for diversity’s sake. In the blog post “Questioning the value of biodiversity” ecologist Jeremy Fox comments on a review of the book What’s So Good About Biodiversity?. Adair et al. (2018) had similar observations from looking at the effects of diversity on carbon storage in soils. “These new findings indicate that ecosystem scientists should shift away from treating biodiversity as an ASSUMED amplifier of key ecosystem services like carbon storage, and instead treat it as a subset of factors that influence such services,” (Adair quoted here, emphasis mine). What all this calls for is a correction in our thinking. Except where we are talking about saving endangered species, diversity should be considered a means to some ends, not a universally beneficial end in itself. Adair, Carol, E., D.U. Hooper, A. Paquette, and B.A. Hungate. 2018. Ecosystem context illuminates conflicting roles of plant diversity in carbon storage. Ecology Letters 0(0). doi: 10.1111/ele.13145. Mackelprang, R., A.M. Grube, R. Lamendella, E. da C. Jesus, A. Copeland, C. Liang, R.D. Jackson, C.W. Rice, S. Kapucija, B. Parsa, S.G. Tringe, J.M. Tiedje, and J.K. Jansson. 2018. Microbial Community Structure and Functional Potential in Cultivated and Native Tallgrass Prairie Soils of the Midwestern United States. Front. Microbiol. 9. doi: 10.3389/fmicb.2018.01775. Peralta, A.L., Y. Sun, M.D. McDaniel, and J.T. Lennon. 2018. Crop rotational diversity increases disease suppressive capacity of soil microbiomes. Ecosphere 9(5): e02235. doi: 10.1002/ecs2.2235. Vitousek, P.M., K. Cassman, C. Cleveland, T. Crews, C.B. Field, N.B. Grimm, R.W. Howarth, R. Marino, L. Martinelli, E.B. Rastetter, and J.I. Sprent. 2002. Towards an ecological understanding of biological nitrogen fixation. Biogeochemistry 57–58(1): 1–45. doi: 10.1023/A:1015798428743. 3 thoughts on "Soils under corn and tallgrass prairie; research to challenge our assumptions"
A small correction: in the blog post you link to, I don’t review What’s So Good About Biodiversity? Rather, I comment on Mark Vellend’s review of the book. I have yet to read the book myself (I’m reading it now, actually…). Thanks for highlighting this. It is helpful to redirect a sometimes over-attention to microbial diversity towards more salient/focused conversations in the soil health community. It looks like the shift from fungi toward bacterial dominance is as expected resulting from cropping. Nice follow the N argument. Thanks for that too. 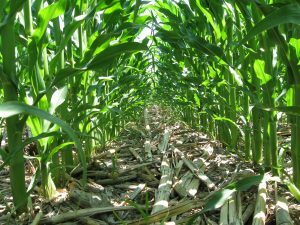 Managing microbe diversity away from denitrifiers in cropping systems is a worthy challenge, and something us soil health proponents should be thinking about carefully, especially now that no-till is the norm.